Autumn is here, and so is our Mews of the month to celebrate the autumnal colours that are appearing. 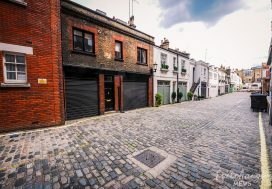 Situated within Inner London in the Borough of Camden is Brownlow Mews; a cobbled through road approached through an entrance under a building on Guilford Street. 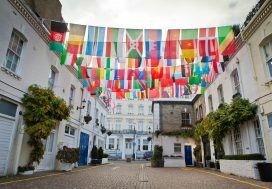 The Mews contains 42 properties used for residential and commercial purposes. 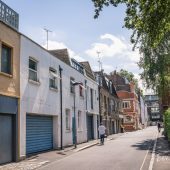 The one, two, three and four storey properties have rendered and painted brickwork facades with a mixture of mansard and pitched roof styles, surrounded by a cobbled road surface with raised pavements. 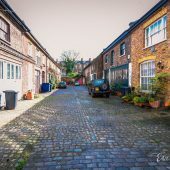 There are also seats, benches and plants to be seen in the Mews, along with Winches and Metal Bressumers. 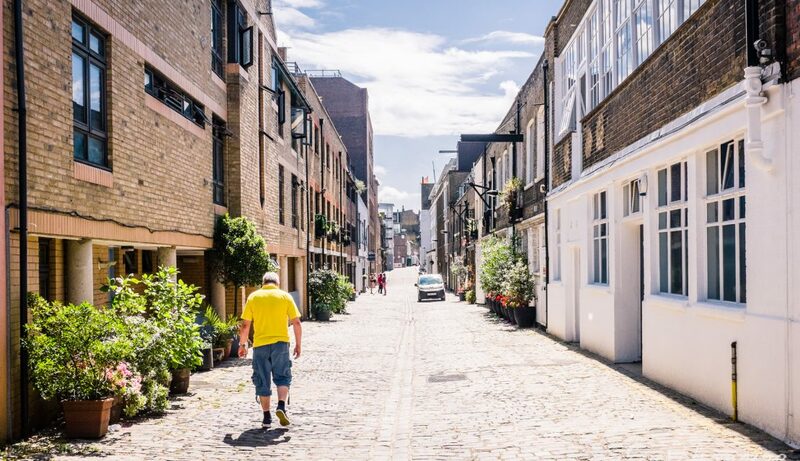 The two bollards with Spur Stones flanking the entrance to Brownlow Mews are Grade II Listed.